When I look at the Bureau of Land Management's map of the Tres Ríos Field Office area, I see a rich and varied landscape, dotted with place names that have some meaning, like Dolores, which is shorthand for the devotional El Río de Nuestra Señora de los Dolores, (The River of Our Lady of Sorrows) named by Santa Fe explorer Juan Rivera in 1765. 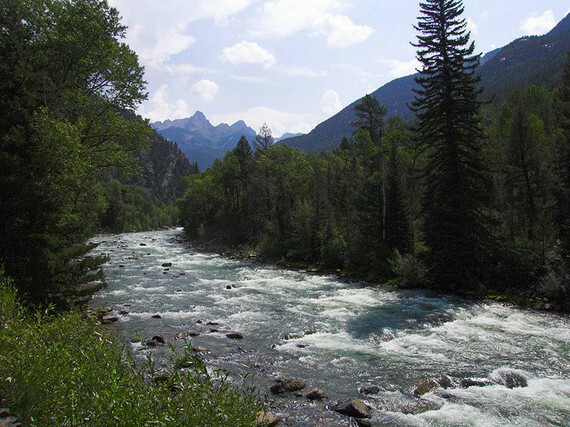 Or the Animas River, "River of Souls," fed by snowmelt from the awe-inspiring peaks, it courses through to become the lifeline of Durango, my grandmother's birthplace. And, of course, there is Mesa Verde, the green plateau, and ancestral pueblo homeland. Just a few weeks ago, seeing those special places on that very same map made me uneasy. Although Mesa Verde is off limits, I had visions of an unbridled takeover of nearly every place else by the industry, with well pads, derricks and storage tanks overwhelming the beauty of that Colorado landscape. I had fears of the underground effects of fracking on the aquifers, with natural gas and benzene rising up through the streams, poisoning the trout. I imagined methane and volatile organic compounds invisibly spewing into the atmosphere. However, the Bureau of Land Management came through with some very hopeful news last week. 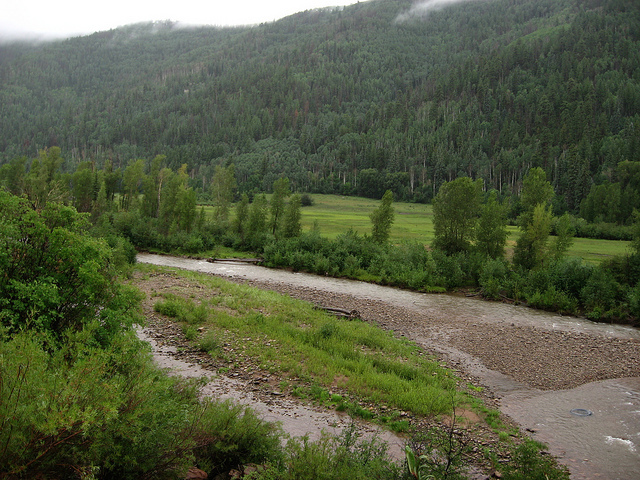 After the agency's decision to open 90 percent of southwestern Colorado to oil and gas development was lambasted (read my post) by the conservation community for failing to adequately protect air, water, landowners and wildlife, agency leaders took a second look and have responded to the outcry. On May 8, Tres Ríos Field Office Manager Connie Clementson formally announced that a Master Leasing Plan (MLP) would be developed and implemented in the region between Dolores and Durango. One only needs to look over the border into New Mexico to understand what might have been in store for the Southwestern Colorado without an MLP. 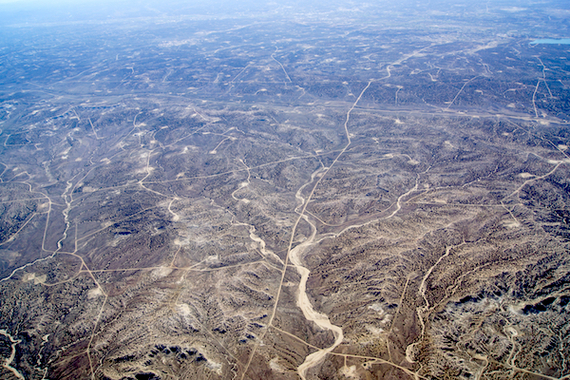 The San Juan River Basin has seen oil and gas development taking place for decades, since long before planning became a priority. Checker-boarded by thousands of well pads, and crisscrossed by a web work of access roads, the landscape of northwestern New Mexico has become so fragmented that impending industry growth could impede deer and elk migrations, and horizontal drilling and hydraulic fracturing (fracking) practices could pollute groundwater and harm significant archeological sites. Traditional Native American and centuries-old Latino communities are also feeling the effects of the industry in northern New Mexico. The land, water, wildlife and cultural communities, as well as the recreational and agricultural industries, are similar in southwestern Colorado. The BLM made the right move to implement a Master Leasing Plan, so that beyond oil and gas, the resources and values that enrich the region can be championed and protected. The MLP will allow local communities and stakeholders, such as hunters and anglers, the recreation industry and farmers and ranchers -- not just the energy industry -- to influence how and where development occurs in the area. With public engagement, what was certain to be a devastating scenario for Colorado may now be averted.